Kelly was first placed into a general population drunk tank but was moved after he began starting trouble with other inmates. As was common practice for troublemakers, Kelly was moved to a special cell with cork-padded walls covered in tarpaper. Unbeknownst to the jailer that moved him was at the time he was booked Kelly had been searched for weapons but had been allowed to keep a pack of cigarettes and a book of matches. At 4:15 a.m., jail staff heard several inmates screaming “fire.” Guards rushed to find flames shooting from Kelly’s cell. The entire cellblock was filled with thick black smoke. One officer tried to throw water directly on the fire but the chemical mixture of the tarpaper and water caused an explosion. Beating back the flames, Sergeant Mike Shea was finally able to get Kelly’s cell open but found his key didn’t work in all the other doors. Screams filled the cellblock as officers tried desperately to open cell doors and fight the fire. The fire department arrived within minutes but by that time officers had managed to extinguish the flames. With a thick cloud of smoke still hovering over them, officers went from cell to cell opening doors and releasing the men inside. Meanwhile, Kelly was taken from the cellblock and placed in the detective bureau holding cell. When interviewed later that morning, Kelly insisted the fire was an accident that started when he tried to light a cigarette. Kelly said a match head flew off and hit a wall instantly igniting it. Detectives weren’t buying it. They took Kelly’s case straight to the D.A. who charged him with five counts of murder and ten counts of attempted murder. Local defense attorney John Holt took Kelly’s case and immediately launched his own investigation. Holt first went to the jail where he met Cliff Peterson and asked to inspect the cell where the fire took place. Much to Holt’s surprise, not only did Peterson deny him the right to inspect the cell, he kicked him out of the building. Holt returned several days later, this time with a court order. Peterson personally directed him to the cell and stood by while he collected a sample of the tarpaper wall.  Holt sent the sample to an independent lab where it was examined for its level of flame resistance. The lab found that while the sample was in fact fire proof, the insulation under it was not. At Kelly’s trial, Holt used this evidence to demonstrate how quickly the paper burned and he actually lit a piece of it on fire in the courtroom. Within seconds the paper was consumed. The static demonstration was all the jury needed to see before they returned a not guilty verdict. As a result of the fire, Peterson ordered the jail remodeled with safer insulation. Additionally a master key system was established where all cells in a block could be opened with a single switch. With the war raging, Peterson was for the most part left alone to run the police department. The war changed the political climate of San Diego to the point where it was no longer acceptable for the City Manager or Mayor to fire the Police Chief to install his own loyal subject. It was a huge step towards the police department becoming professional. On January 17, 1945, Cliff Peterson finally saw his dream of a police school become a reality. It was a long time coming. As far back as 1893 the International Association of Chiefs of Police went public with the recommendation that police officers needed to be formally schooled in order to be effective. Despite that attitude, the 21-day school was not going away. Officers attended classes in the morning for four hours and then walked a beat for four hours in the afternoon. In some cases, they went to school only on Mondays and Tuesdays and didn’t walk a beat. On weekends they walked a beat but didn’t attend school. As odd as this schedule seems today, this type of training was used well into the 1960’s. By 1947 Peterson was being lured to the state level to head the California Highway Patrol for a $12,000 annual salary. He died of a massive heart attack on February 10, 1953. 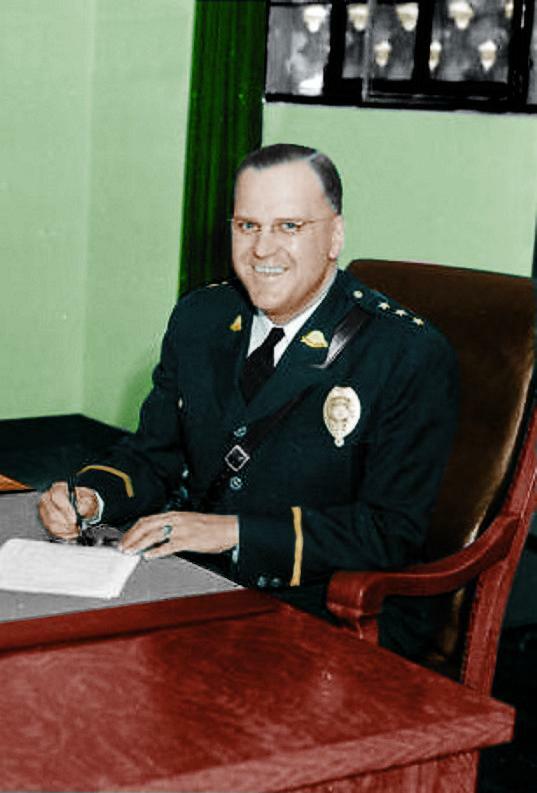 With the retirement of John T. Peterson, the city manager choose Long Beach police lieutenant Clifford Peterson (no relation) as the new chief on March 21, 1940. Cliff Peterson’s challenges were obvious. A world war was on the horizon and police officers were untrained and to a large degree, unprofessional. There was also the issue of a limited budget and a shortage of officers making staffing requirements a challenge. Moreover, the cliques of the 1930’s still existed even though Sears had managed to somewhat control them. College educated and a graduate of the FBI National Academy, Peterson wasted no time in seeing to it his officers were educated also. He began laying the framework by requiring all new officers be sent to a police school upon being hired. Alas, it was not to be; at least not immediately. The plan would have to wait several years until WW II was over and staffing could return to normal levels. The majority of Peterson’s term as chief was overseeing the department through the war. With issues of emergency rationing, blackouts and personnel shortages, he faced challenges no chief has either before or since then. Peterson was chief when the worst incident in the history of the city jail took place at 4:15 am on February 4, 1942. An out of control fire killed five inmates and injured ten others. The trouble began at 3:30 am when 24-year-old Thomas Kelly was booked into the 801 W. Market Street jail for being drunk in public.